Neashore Tag It tags are now available for purchase online! No longer do you need species specific tags. With these green tags you can tag Ulua/Papio (various species), Oio (sharp and round jaw bonefish), Moi (pacific threadfin), Kaku (great barracuda), and Kahala (amberjack and almaco jack). 85 taggers reported 298 tagged fish. 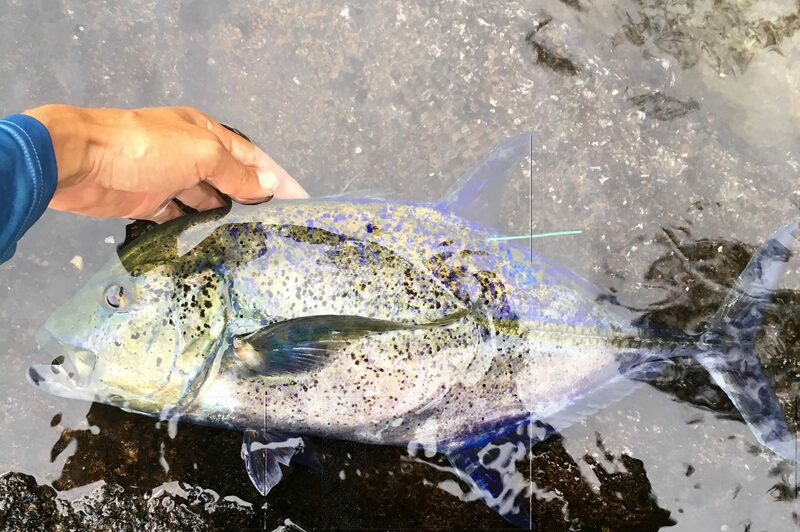 Species included white papio/ulua, omilu papio/ulua, barred papio, yellow dot papio, sasa or menpachi papio, kagami papio, oio, kaku and kahala. Charles Cintron, Christopher Lewis, Erik Parubrub and Ladd Yoshimura each released a 41 inch white ulua to tie for the biggest fish so far. A papio is designated as an ulua if it is 25 inches in fork length or longer.